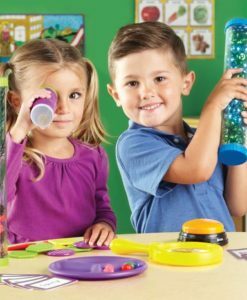 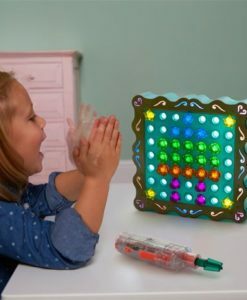 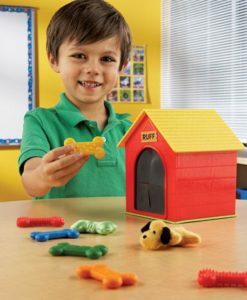 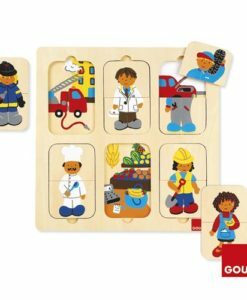 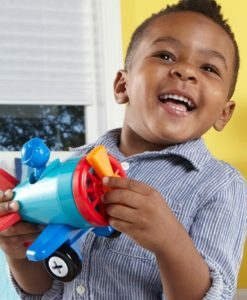 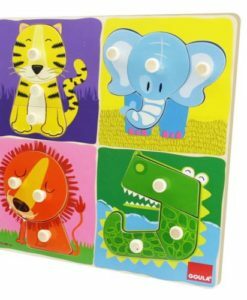 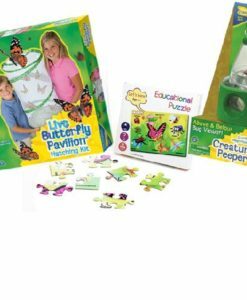 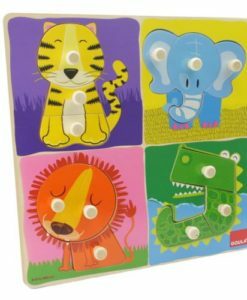 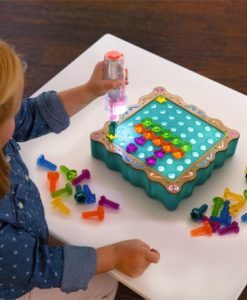 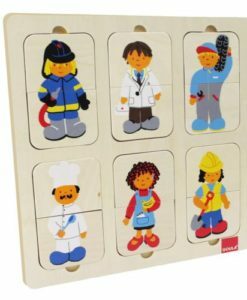 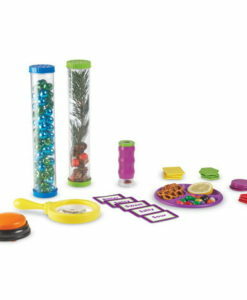 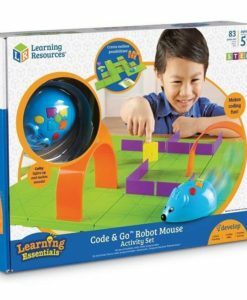 Code and Go Mouse Activity Set from Learning Resources is designed is a fun educational toy suitable for 5+ year old children. 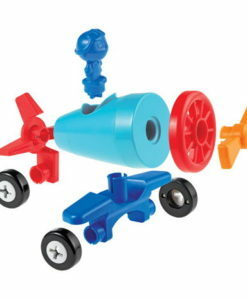 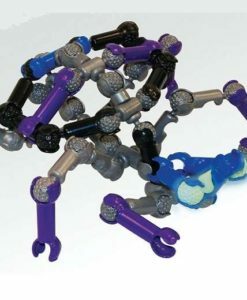 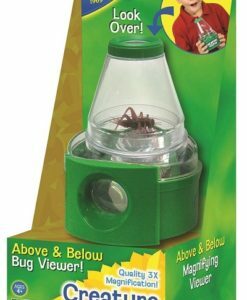 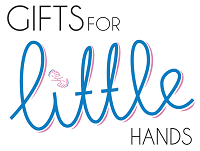 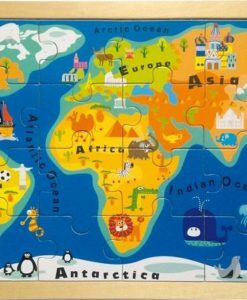 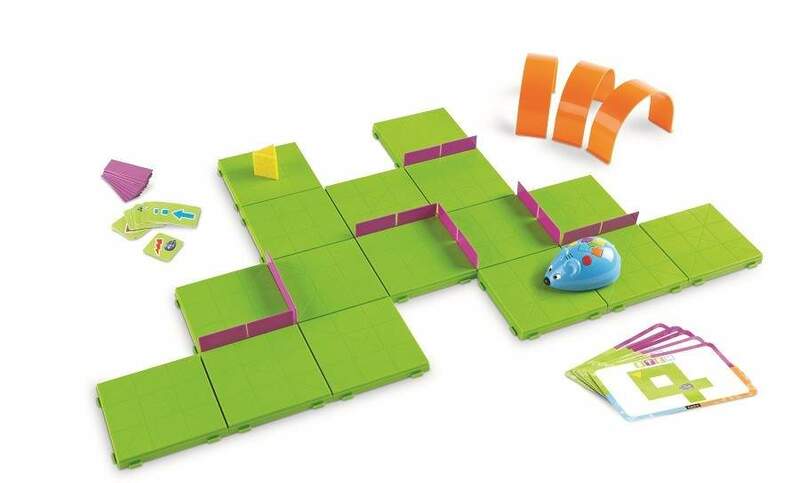 This activity set engages kids in science, technology, engineering, and maths. 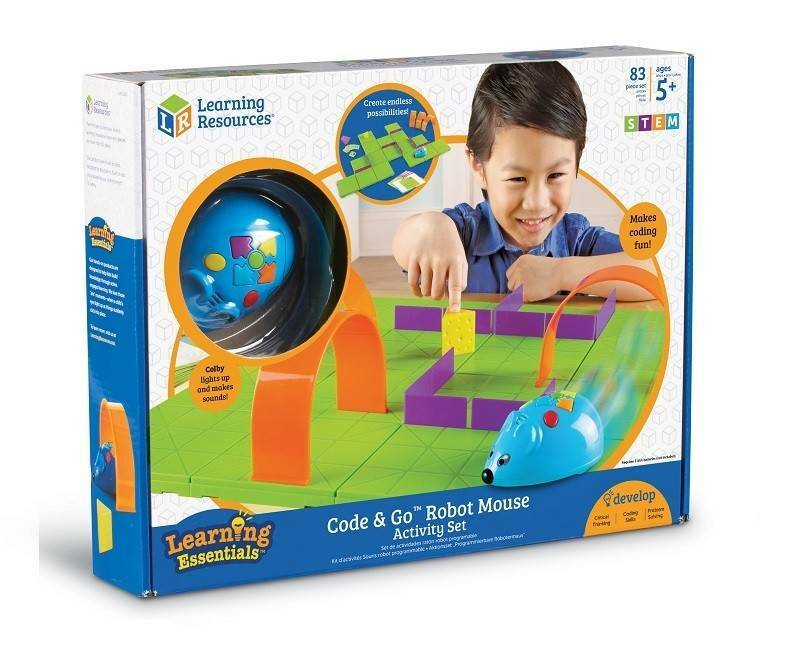 Young learners can explore early coding and programming concepts with “Colby” the robot mouse. 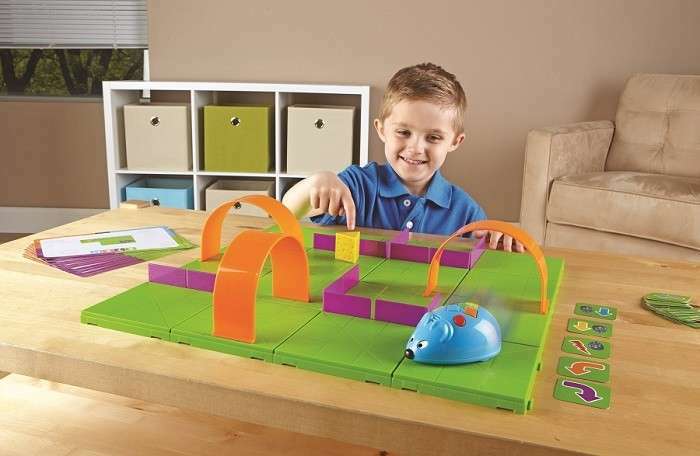 Children program the mouse to perform a sequence of steps to race through a variety of maze formations to get the cheese. 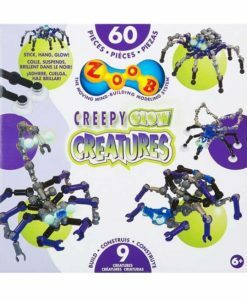 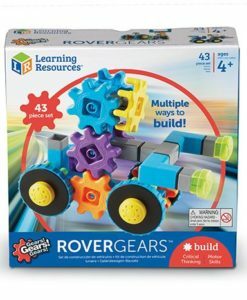 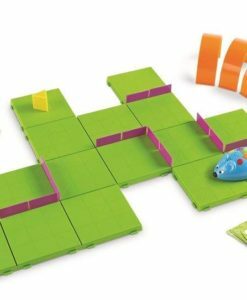 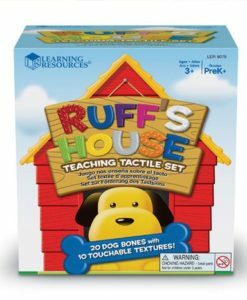 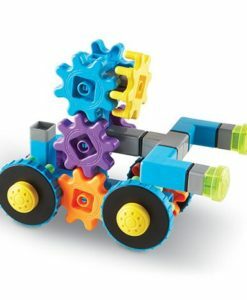 Learning Resources Code and Go Robot Mouse Activity Set includes 16 grid pieces, 22 maze walls, 3 tunnel pieces, 30 double-sided coding cards, 10 double-sided maze activity cards, a plastic wedge of cheese and activity guide. 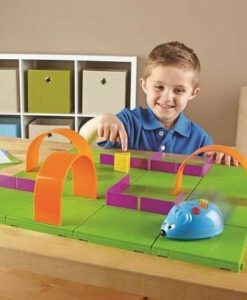 Colby mouse measures 10cm L. Requires 3 AAA batteries (not included).